As the dates for the biggest ever aero spectacle on the planet draws near, one of the leading Media Groups of the region MBC Group and the most widely read newspaper in the region Gulf News has joined the Band Wagon celebrating the World Air Games Dubai 2015 which will be the largest ever in the history of air sports through the participation of more than 56 countries represented by more than 1,200 athletes competing in 26 sports. 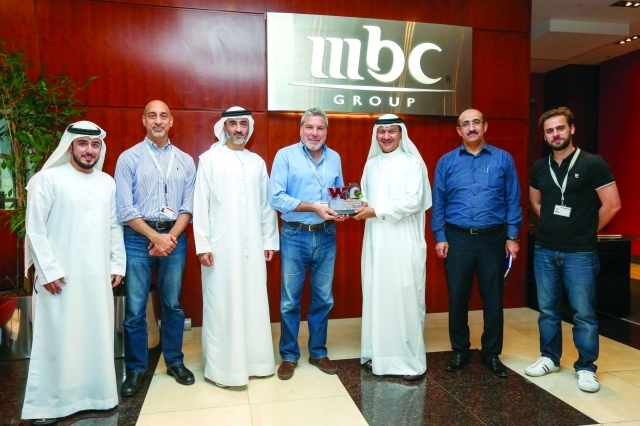 The association was agreed when a delegation of the organizing committee visited the headquarters of MBC in Dajabi. The Director of the Organizing Committee Mr. Yousif Hassan Al Hammadi, the Head of the Media Committee Mr. Majed Abdul Rahman Al Bastaki and other members of the media committee met with the Director of the MBC Group Mr. Ali Jaber and Editor of Gulf News Mr. Abdul Hamid Ahmad and discussed about the importance of the association. A short video presentation on the various disciplines, the locations and the mass media following was made to the Director of the MBC channels and managers of the MBC Action and Pro Sport Channels, as well as to the editor of the Gulf News Prime. Mr. Yousif Hassan Al Hammadi stressed that media, which is the link between the tournament and the Public, is an essential partner for the tournament and plays an important role in the success of the World Air Games. He went on to state that the media conveys to the public the efforts put into organizing such events and emphasized that purpose of hosting such events is to strengthen the relationship between the different segments of the society.